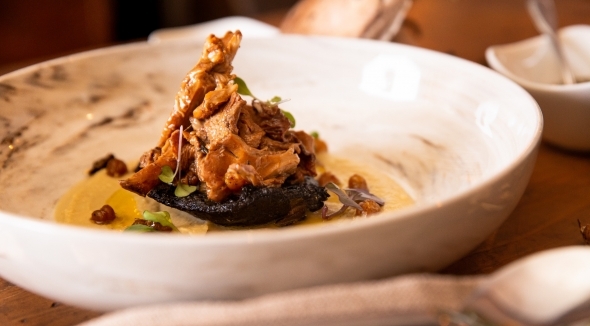 Give your taste buds a trip to food heaven. 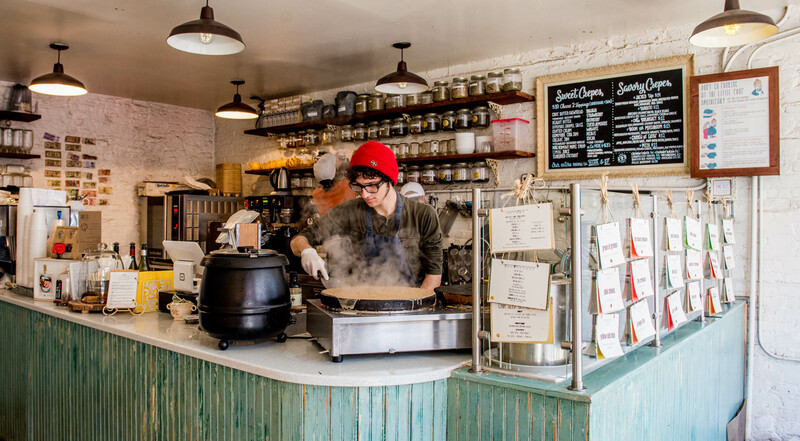 You’ll know that you’ve arrived, when you dig in to one of the sweet or savory crepes served at Little Choc Apothecary. The crepe menu puts you in charge. You get to decide what toppings you’d like, and there is a wide range of goodies to choose from. How about a sweet crepe with banana, peanut butter and strawberries? Or a savory crepe with avocado, coconut bacon and cashew cheese? 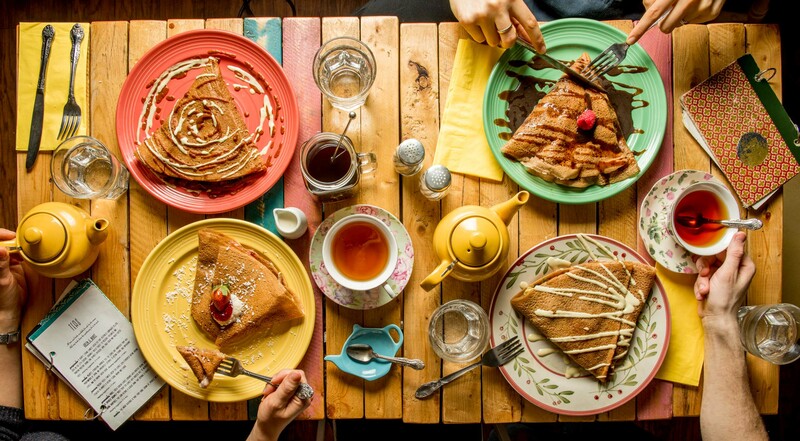 Invite family and friends for crepes and hot drinks at Little Choc Apothecary. Every voucher is valid for 2 persons. 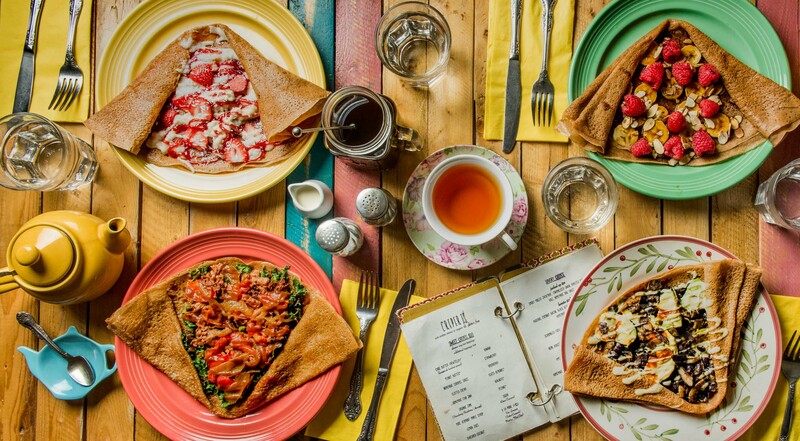 You each get to indulge in a sweet or savory crepe and a coffee or tea. 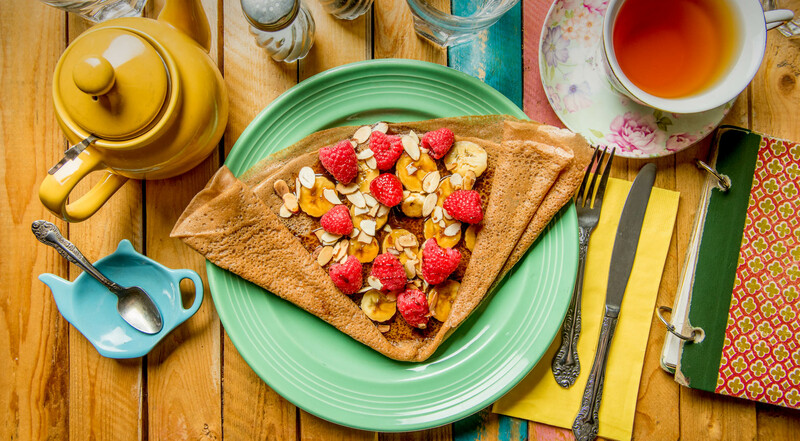 Mix up your own sweet crepe and choose four included toppings of your choice. Pick from homemade hazelnut spread, caramel sauce, peanut butter, clotted cream, maple syrup, berries, banana and much more. Or go the savory way and try the pizza crepe bestseller with homemade marinara sauce, cashew cheese, fresh basil and chili pepper flakes. Taste the burrito crepe with avocado, coconut bacon, black beans, homemade chipotle hot sauce and cashew cheese. 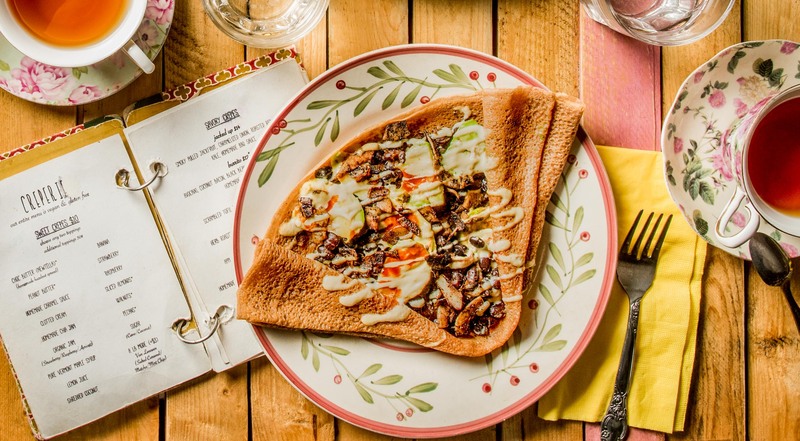 Try savory crepes with everything from smoked jackfruit to caramelized onions and scrambled tofu. There are plenty of offerings on the menu to try, and one thing is certain; you won’t regret it! One of the best things I have ever tasted, vegan or not. I was blown away! Their crepes are amazing, and the vibe is awesome. The best crepes I have had in New York so far! Their crepes made my vegan dreams come true. Seriously, they are life-changing! 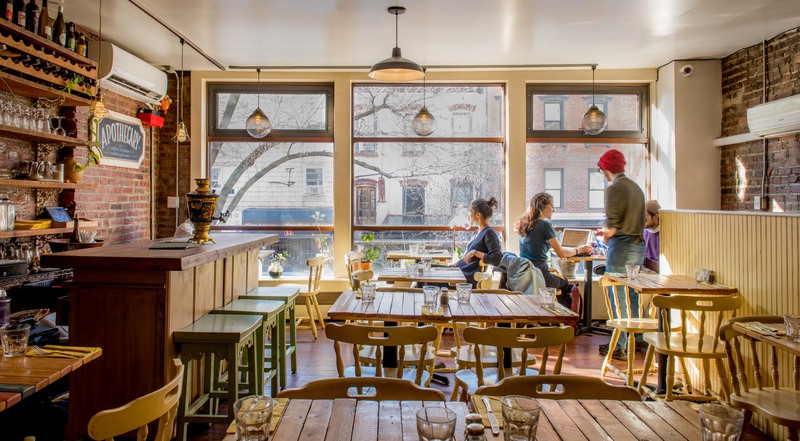 In a small townhouse in Williamsburg, Little Choc Apothecary makes healthy, cruelty-free food in the most delicious ways. Everything on the menu is vegan and gluten free. And Little Choc Apothecary sets pride in sourcing ingredients from local farms and distributors that are sustainable, fair-trade and organic. Besides from the menu with a vast selection of both sweet and savory crepes, Little Choc Apothecary has a wonderful drink menu. The coffee beans are sourced from Toby’s Estate Coffee and on the tea menu, you’ll find more than 100 different house blends. 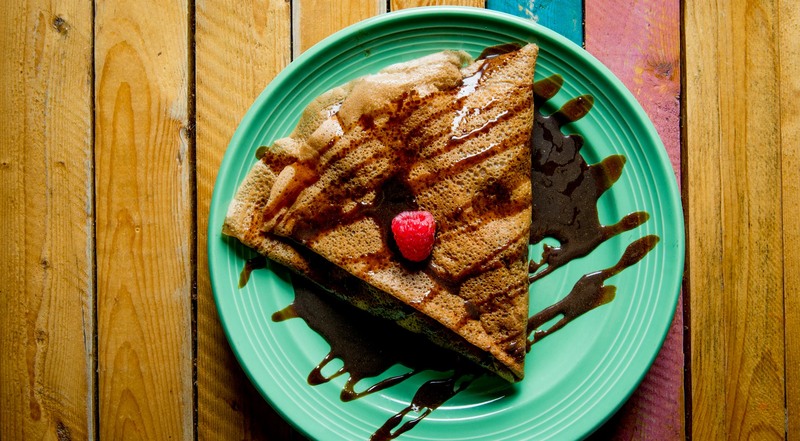 Little Choc Apothecary is a local favorite and their crepes are probably the best, you’ll ever try. Vegan or not.